Director Maruthi and Sharwanand teamed up for the first time and are coming up with an interesting romantic comedy titled Mahanubhavudu. The film’s teaser was released on Vinayaka Chavithi and impressed everyone. As per the latest update, Mahanubhavudu’s overseas rights were sold off for around Rs.3.30 crore. This is a handsome deal as Sharwa’s Shatamanam Bhavathi performed quite well in the US, and even Maruthi has his own audience in overseas. 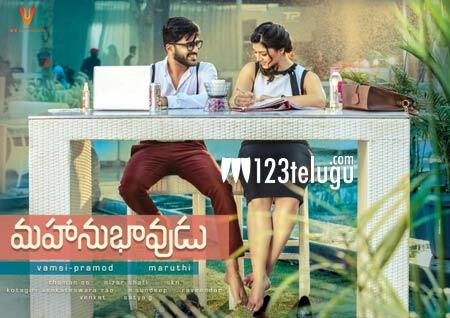 Mahanubhavudu is slated to release during the upcoming Dasara festive season. UV Creations banner is bankrolling the project. Mehreen is the film’s leading lady and Thaman is the music composer.